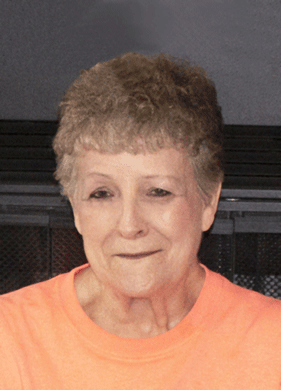 Faye Etheridge, at the age of 75, went to be with her Lord on October 17, 2018. Faye was born June 2, 1943, in Terral, Oklahoma, to Ranzie Williams and Gertie Pink (Maness) Williams. She married Robert Wayne Etheridge on October 2, 1965, and together they had four children. Faye worked 24 years at Doug’s Peach Orchard in Terral, where she enjoyed many long-time friends and truly never met a stranger. She enjoyed spending time with her twin sister Maye Ward, shopping and doing a word find puzzles. Faye was a long-time member of the First Assembly of God Church in Ryan, and most recently of the Faith Fellowship of Waurika. Faye was preceded in death by her parents, her brothers Buster Williams, Steven Williams, Lloyd Williams and Jewell Williams and her sisters Billie Williams and Janice Owen. She is survived by her twin sister Maye Ward of Waurika, her children Larry (Vicki) Etheridge, Stacy (Don) Dalton, Kenneth Etheridge and Kimberly (Curtis) Plant, all of Waurika, seven grandchildren, Kyle (Keri) Etheridge, Brett Etheridge, Travis Etheridge, Zach Dalton, Brandon Dalton, Lauren (Jason) Hobbs and Tyler Plant, and five great-grandchildren. Funeral Services were held at 1 p.m. on Saturday, October 20, 2018, at the First Assembly of God Church in Ryan, with Curtis Plant and Lynn Plant officiating. Interment will follow the Waurika Cemetery under the direction of Dudley Funeral Home of Waurika. Viewing was Thursday, October 18 and Friday, October 19, noon to 8 p.m. at Dudley Funeral Home, Waurika, with family receiving guests from 6 – 8 p.m. Friday. Memorials: First Assembly of God Church in Ryan and Chisolm Trail Hospice.